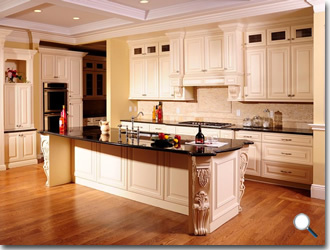 For that exquisite elegance, consider adding Cream Maple Glaze Cabinets into your decor. The soft velvety richness of the color is made interesting by the hint of cinnamon brown glaze that accentuates the finish. And the benefits of choosing this cabinetry line does not end at aesthetics, as this choice will prove to be as durable as it is beautiful. The subtle allure of cream makes this collection a perfect choice to complement with a wide range of color schemes. 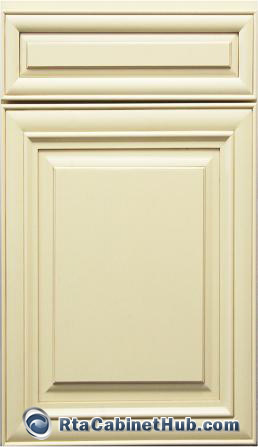 Cream Maple cabinets also feature a simple and stylish full overlay, raised door design with matching drawer fronts. The clean lines of the design will blend in admirably into the heart of your home whether yours showcase a classic, traditional, cottage or contemporary style. 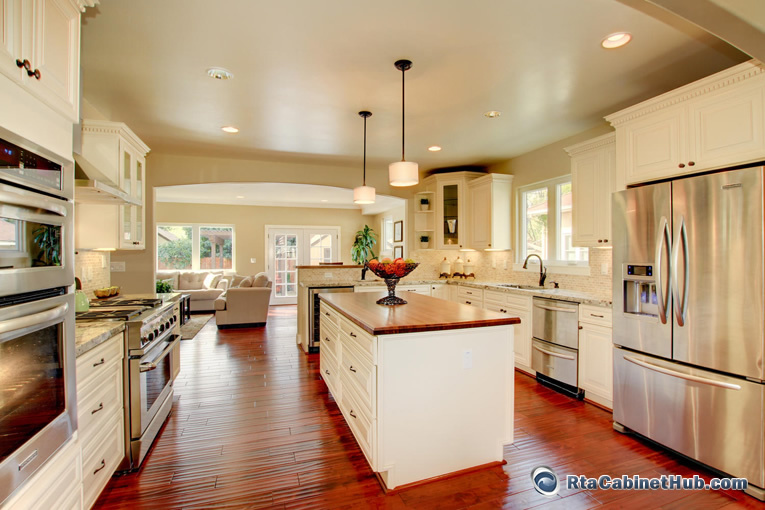 Manufactured in all-wood construction, Cream Maple Glaze can efficiently endure the challenges of a busy kitchen. Even with the intensive everyday use and changing conditions of the area, the natural strength of hardwood allows your set of ready to assemble cabinetry to last for many practical years. 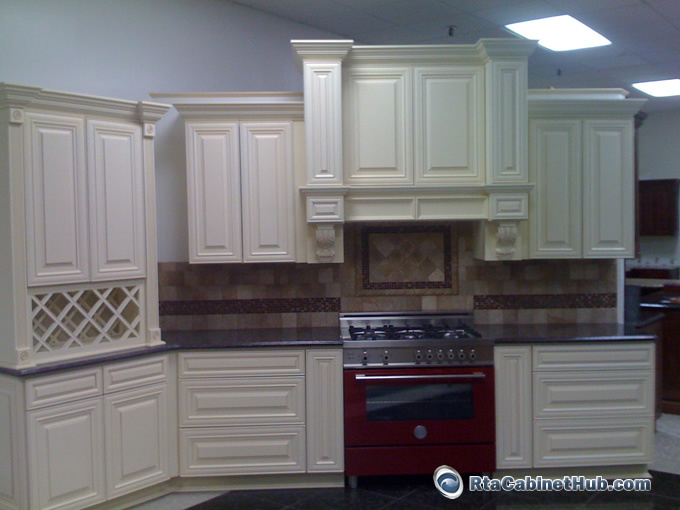 Cream Maple Glaze cabinets come in various shapes and sizes to satisfy your specific remodeling needs. 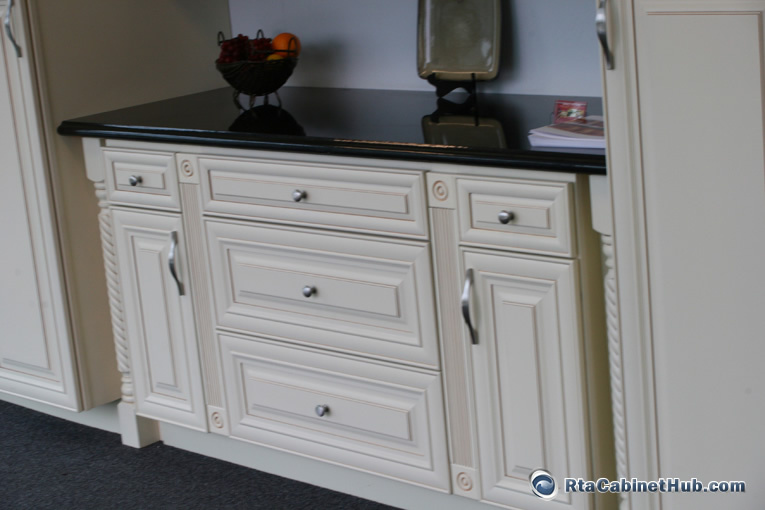 Other than your standard sized single or double door wall and base cabinets, you can choose from innovatively designed pieces to complete your cabinet collection. 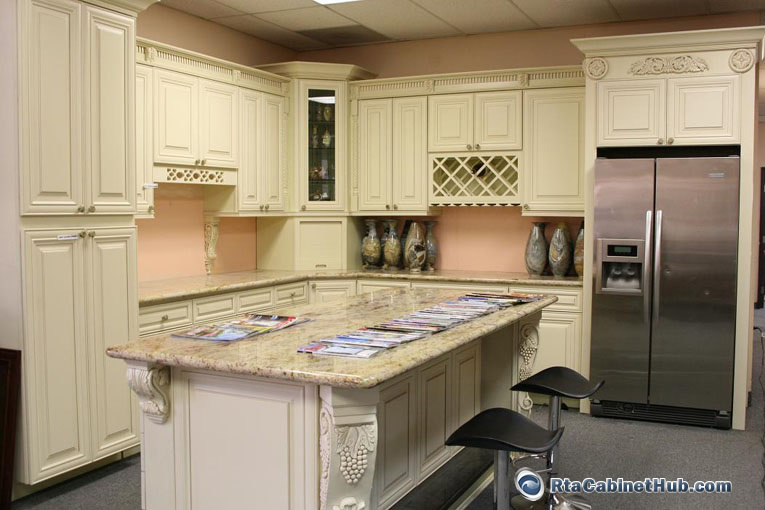 Popular options include Diagonal Wall Corner Cabinet, Wall End Shelf Cabinet, Wall Mounted Wine Rack, Glass and Plate Rack, Pantry, Appliance Garage, Sink Base Cabinet, and Horizontal Drawers. Create a customized look to your Cream Maple Glaze cabinets with the many cabinet accessories available especially manufactured for this collection. Glass doors and decorative doors can instantly add a stylish touch to your décor. 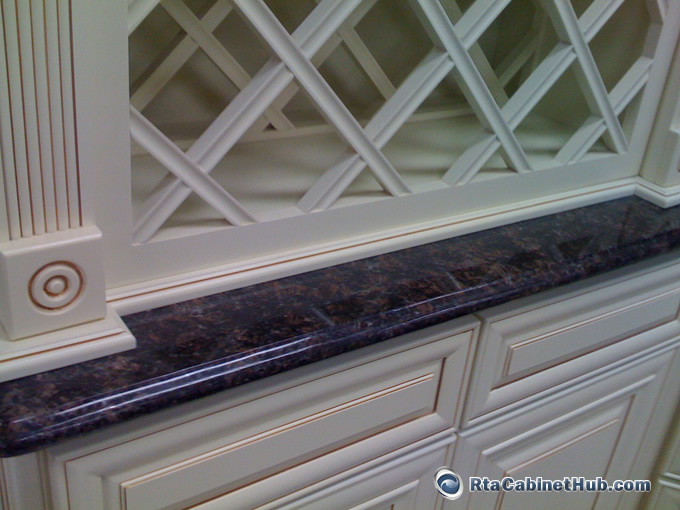 Moldings, Valances, Fillers and Panels also add to the overall appeal of the cabinetry. 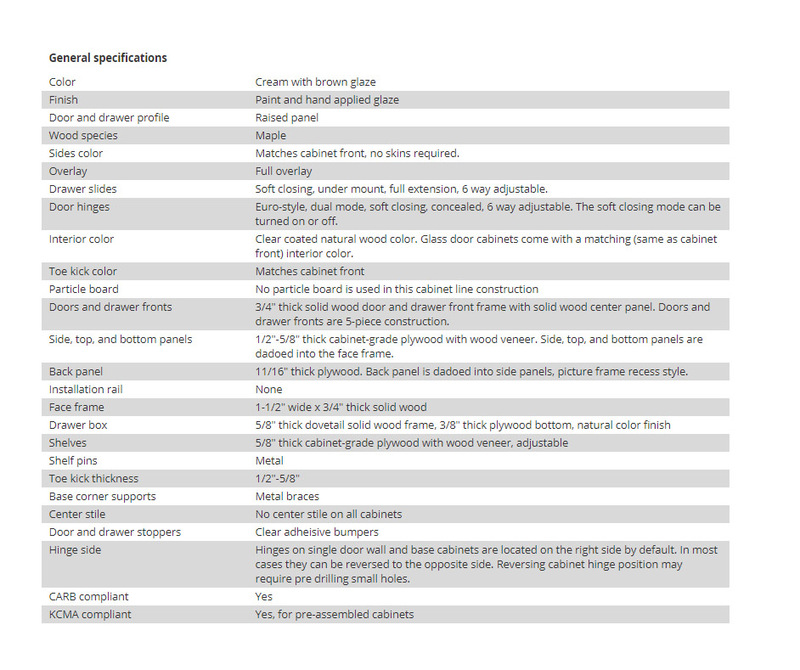 And to boost functionality, add roll-out trays or other upgrade options to your order. 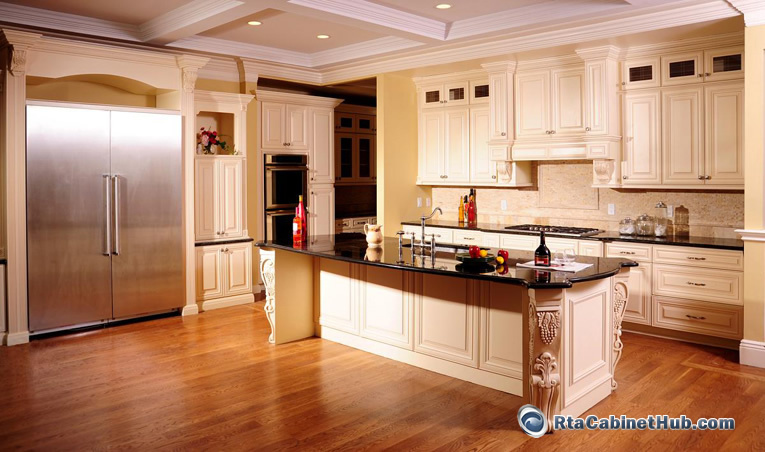 Cream Maple Glaze product is identical or similar to French Vanilla Glaze and Sunset Maple cabinet lines offered by other stores.